An evolving system & active community! 123Landlord is always evolving in response to great feedback from our users - we build great user-requested features such as these into every release, and we try and update the site as frequently as we can. 123Landlord is actively maintained and supported, with updates every month - currently we have improved the software with over 25 major enhancements in the last twelve months. 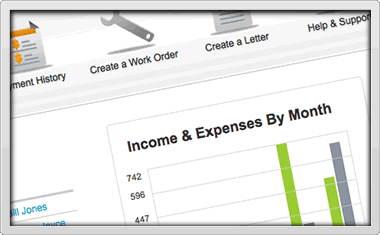 Configure the site to work how you do - specify how records are sorted and displayed, your default city and state, state and sales tax rates and types, even select what currency should be displayed. Every update or announcement is backed by information and assistance on our development blog. Page-specific help is built into the system - common questions and answers that are specific to the task or screen you're currently viewing make it easy to get focused help immediately.